Dave Campbell, advocacy director of Bike East Bay, said that "we're not going to make Oakland better by giving more space to cars." When Michael Schwartz turned around to see what was making the loud screeching noise, it was already too late. It was 9:20 p.m. on September 22, 2014, and Schwartz and his friend Sarah Fine were riding their bikes home on Lakeshore Avenue. 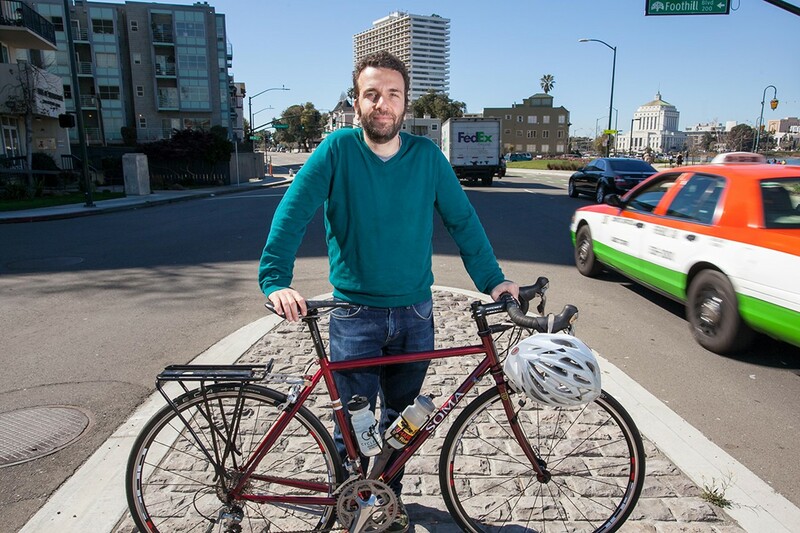 The two cyclists were stopped in a designated bike lane near Foothill Boulevard waiting for the light to change when Schwartz saw a speeding black Acura crash into a motorcycle to his left. "They were still accelerating and heading right to me," he recalled. "And there was this moment of, 'I am going to get hit.'" Fine added: "I turned around and saw this mass hurtling toward us." A split-second later, the Acura narrowly missed Fine but crashed straight into Schwartz, throwing him off his bike and onto the hood of the vehicle, which carried him 75 feet through the intersection. He then went flying off of the car, landing hard on the pavement before the Acura sped off into the night. The hit-and-run driver, it turned out, had fled a police traffic stop minutes earlier and had sideswiped another car, according to an Oakland Police Department report. Schwartz, who was rushed to Highland Hospital, suffered a fractured shoulder, a torn ACL, and serious tissue and nerve damage in his left leg and foot. Photos taken after the collision showed his face covered in cuts and bruises. His bike was bent out of shape. Schwartz, a 36-year-old Cleveland Heights resident, was unable to walk on his own for a month and had to take medical leave from his job as a senior transportation planner for the San Francisco County Transportation Authority. There, one of his responsibilities is planning street projects aimed at protecting cyclists and pedestrians and preventing the kind of collision that he suffered. 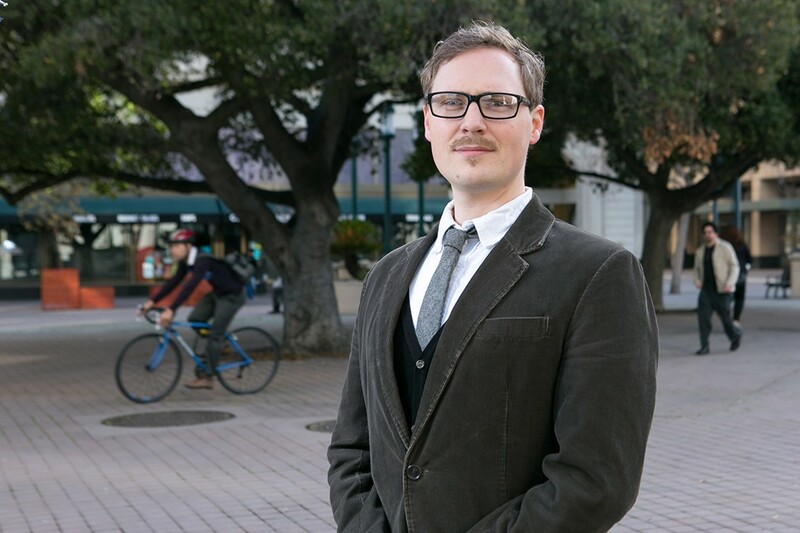 In the months leading up to the crash, he had brought his passion for transportation planning to the East Bay where he co-founded Transport Oakland, a policy group that advocates for safer and more bike-friendly streets. 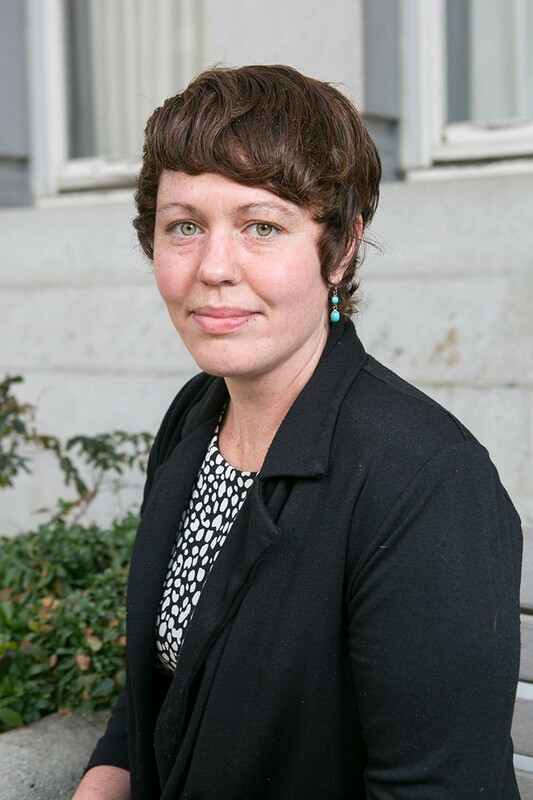 Transport Oakland's members include a number of transportation professionals like Schwartz who work in San Francisco government and live in the East Bay. The night of the crash, the group — including Fine, who is also a transportation planner for San Francisco — had just completed an endorsement process for the Oakland mayoral and city council races. After conducting interviews with the top mayoral candidates, the group decided to endorse Libby Schaaf, who in late September was a councilmember behind in the polls and struggling to stand out in a crowded field. 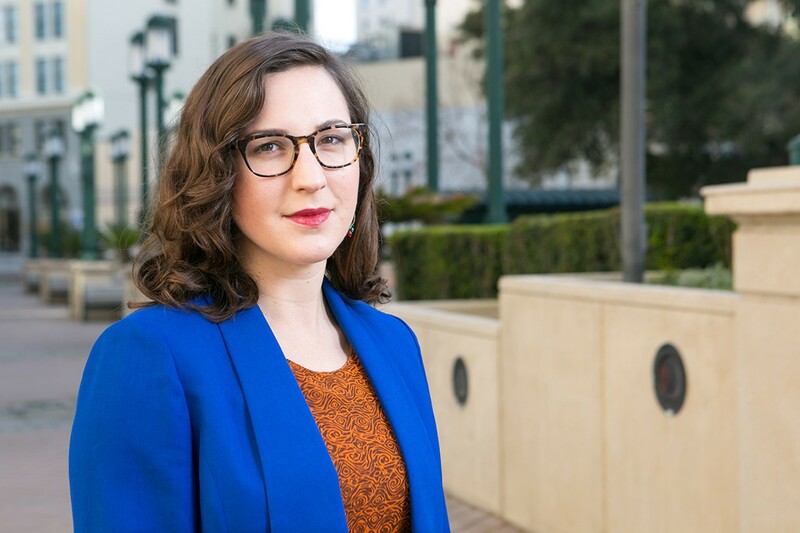 Schaaf, who went on to win the election, had impressed the activists with her plan to hire Oakland's first-ever transportation policy director. Transport Oakland had also decided that night to make Schwartz the spokesperson for the group as it ramped up its campaign to elect progressive pro-transportation candidates. 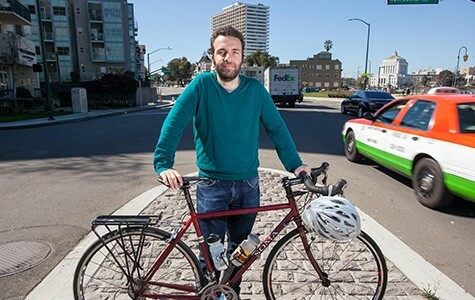 The crash, however, prevented him from filling that role — an ironic development given that he was now especially well-positioned to advocate for safer streets having nearly lost his life in a collision. 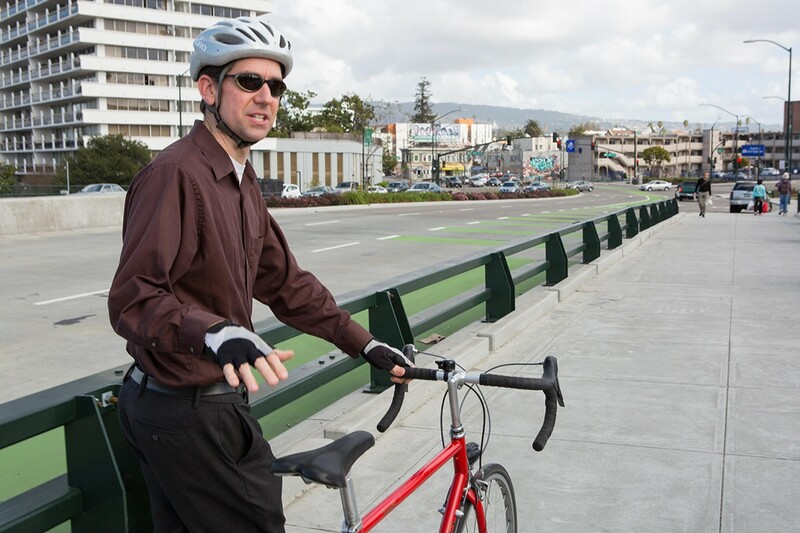 Having lived near Lake Merritt for years, Schwartz has long argued that Lakeshore Avenue, where the car hit him, should have a protected bike lane — meaning a dedicated bikeway separated from car traffic by a physical barrier. It's a good road for this type of innovative project, because the avenue runs parallel to the lake and thus lacks complicated turns or driveways that can make protected bike lanes tougher to design. "That would've saved me — that kind of physical protection is the only thing that can save you from something this crazy," Schwartz said, noting that the city had years earlier completed a major redesign of the streets around Lake Merritt, but had failed to adopt forward-thinking infrastructure. "It feels like such a missed opportunity." 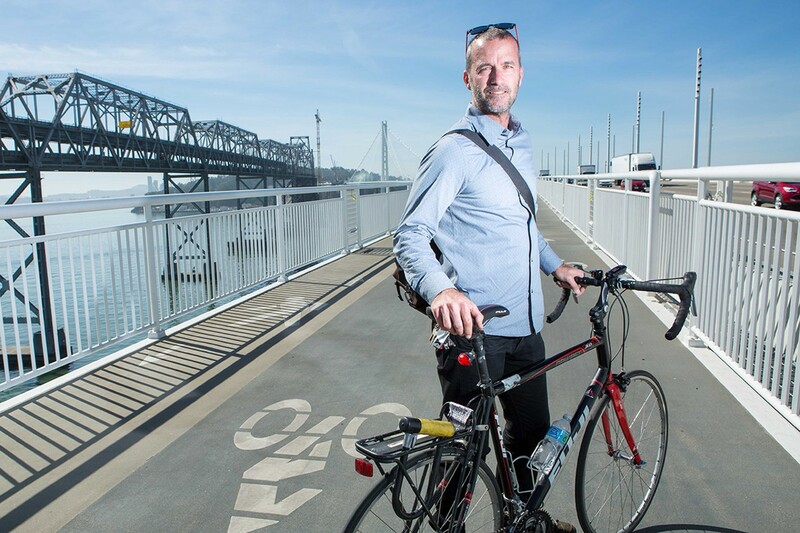 Oakland's Public Works Agency, which manages transportation and street maintenance, employs a handful of progressive planners who are working to transform the city's roads to encourage biking and walking. 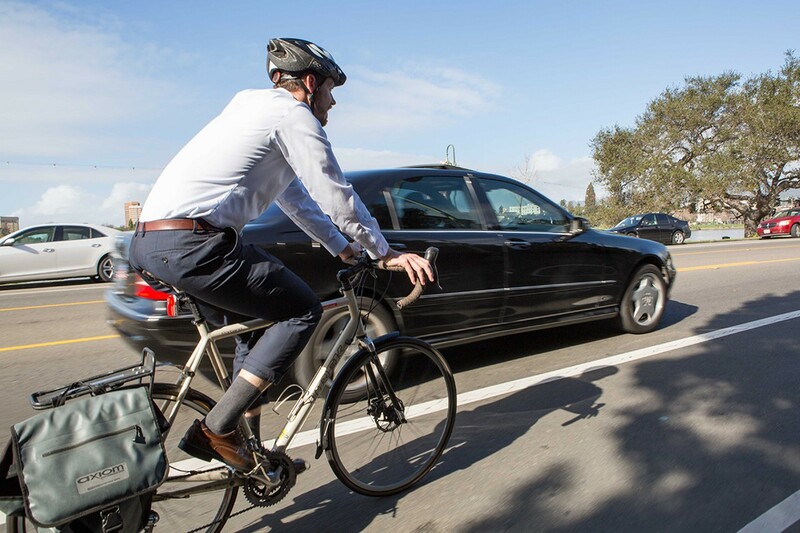 But progress has been slow, advocates say, and Oakland has long lacked the vision and governmental organization to build a truly bike-friendly city. Further, while grants and tax revenues have provided Oakland with money for street projects, the city has failed over the years to spend millions of dollars in transportation funds and has missed opportunities to put in new bike infrastructure when repaving its roads. At the same time, the number of people biking in Oakland has climbed dramatically, forming a diverse constituency and advocacy network led by groups like Bike East Bay and Walk Oakland Bike Oakland that are now pressuring the city to support greener modes of transit. According to the US Census, the percentage of bike commuters in Oakland increased at least 143 percent from 2000 to 2013. And the number of bike commuters has doubled in the past six years alone. 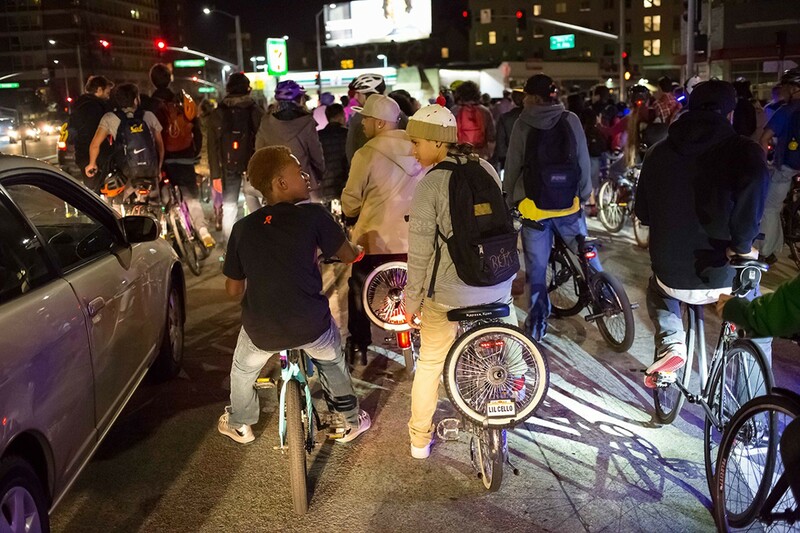 Today, more than 5,600 Oaklanders — 3 percent of the population — commute by bike. And that number is a significant undercount, because it does not include the thousands of cyclists who ride to public transit or those who ride recreationally or less frequently. In addition, research has increasingly demonstrated that building better bike infrastructure does more than just attract new riders and increase safety. It can revitalize business districts, benefit the environment, and improve the health of city residents. As Oakland continues to develop, advocates argue that it's critical for the city to grow in a way that allows and encourages residents to live without cars.